Q: How do I create an active account? You can create an active account at Rummy Adda with a unique username, password and a valid email Id. Click here to create an account. Q: Why do I need to give my Email Id? 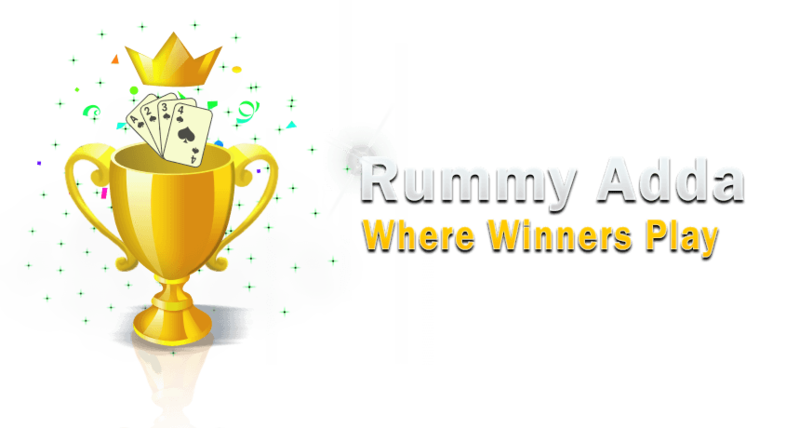 Your Email Id is required to send a link that will validate and activate your Account at Rummy Adda. We will also send you your account related details and other promotional information from time to time. To reset your password, you will need to click here. Once you enter your username/email id, a mail will be sent to your registered email id with further instructions. Q: Forgot password, how to retrieve it? Q: How can I change my Username in Rummy Adda? It is not possible to change your Username at Rummy Adda, so please chose an easy to remember Username. After logging into your profile, find the Refer a friend button on the top menu.Click on this to enter the Refer a friend page from where you can invite your friends from various social media sites like Face book, Yahoo and Google. Q: How can I earn Cash points without making a deposit? When you create an account with Rummyadda, we give you a Welcome Bonus of Rs.25,similarly many more promotions are available which will help you make some cash points to enter cash games and earn more. Q: How do I become a privileged Member? As you keep playing our Rummy games and accumulate enough Loyalty points, you will be given access to our exclusive Adda Lounges. Q: How do I edit my profile details? You can update your profile details from My Account. For the fields that cannot be edited from your end we ask you to send an mail from your registered email Id to support@rummyadda.com , we will get back to you with the required details. Q: How do I deposit cash? Once you create an active account at Rummyadda, you can add cash into it using your Credit/Debit Cards or Internet banking. Q: Is it safe to use my credit/debit card for deposits? Yes, It is very safe to use your credit/debit card as we provide a very safe and secure payment facility. Q: Can I use my internet banking for making a deposit? Yes, you can use your internet banking for making a deposit. Q: How do I make real money at Rummy Adda? You can make real money by playing and winning in our Cash Games and Tournaments.The prices and points you win in these games and tournaments can be en-cashed from our website at your will. Q: Money has been debited from my account but it is not reflected in my Rummy Adda Account. What do I do? Please send us a mail from your registered email Id to support@rummyadda.com, we will get back to you with all the required details. Q: How can I withdraw cash from my Rummy Adda Account? 1. Log in to your account and click on 'MY ACCOUNT'. 2. Click on 'Withdrawal' and choose the modes of transfer – Cheque or Online Transfer. 3. Enter the amount, fill in your details and then click on 'Continue'. Q: Is there a deposit Limit? 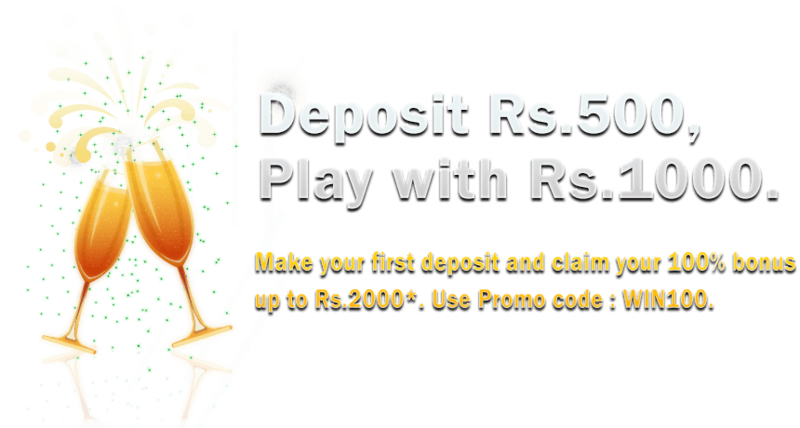 As per our Responsible Gaming Policy, the minimum deposit amount to be made is Rs.200 while the maximum is Rs.50000 per day. Q: How do I increase my Deposit Limit? Q: I am not able to connect to the server. What do I do? Kindly check your Internet connection. If the problem still persists even with a proper internet connection then please send a mail to support@rummyadda.com from your registered email Id describing the problem in brief. Q: The game is getting stuck, what do I do? Please check your internet connection. Also avoid other downloads while playing online games. Q: Can I leave the game in the middle? Yes, but that will incur you a loss of your cash points if it is a cash game. Q: How many games can I play in a day? You can play as many games as you want at RummyAdda.com but there is a deposit limit of Rs.50000 per day. Q: What is a beginner’s game? Beginner’s game is a free practise game for anyone who wishes to learn and practise Rummy before entering real cash games. Q: How do I enter Tournaments? Entry to tournaments is either free or through an Entry fee depending on the kind of tournament you chose to enter. Q: What is a FreeRoll Tournament? How to enter it? Free-roll Tournaments are those tournaments which do not have a buy-in amount. Entry to them is free but restricted based on your eligibility. Q: What is a Multi-player Tournament? How to enter it? Multi-player Tournaments are the tournaments in which a number of players are invited to participate. You have to register through your valid email id to participate in these Tournaments. Q: What is a special Tournament? How to enter it? Special Tournaments are created for special occasions like festivals and Holidays. You have to register through your valid email id or through the game portal to participate in these Tournaments. Q: What do I get on winning a tournament? Prizes differer from tournament to tournament.You will receive whatever has been announced as the prize for the tournament in question. Most of the times it is cash prize. Q: How do I retrieve my winnings from a tournament? If the winnings are a prize, we will send a mail to your registered email Id to confirm your mailing address. Once confirmed the prize will be mailed to you. If it is cash points they will be deposited into your cash account immediately. Bonus is the additional points that you will receive as a gift from Rummyadda.com through various promotions. Q: Where do my Bonus points go? Bonus points are deposited into a Claimed or Unclaimed Bonus account from which they will be transferred to your active account based on your wagers. Q: How do I convert Bonus points into real money? Every time you wager a minimum amount to play in Cash Games, a part of your Bonus points is released into cash chips and deposited into your active account. Q: What are the different Bonuses available? Please click here to check out the various promotions available, that will help you earn some additional Bonus points. Q: What is Refer a friend? Click here to refer a friend and earn the referral Bonus of up to Rs.1000. Q: I referred a friend and did not receive any bonus, why? Please make sure your friends click on the referral link to receive the Bonus. Also your friend has to make a purchase for you to receive a bonus. Q: My Bonus points are not reflected in my account ,why? Please send us a mail from your registered email Id to support@rummyadda.com, we will get back to you with the details. Q: How do I use my Bonus points to play Cash Games? It depends on the type of the bonus claimed . 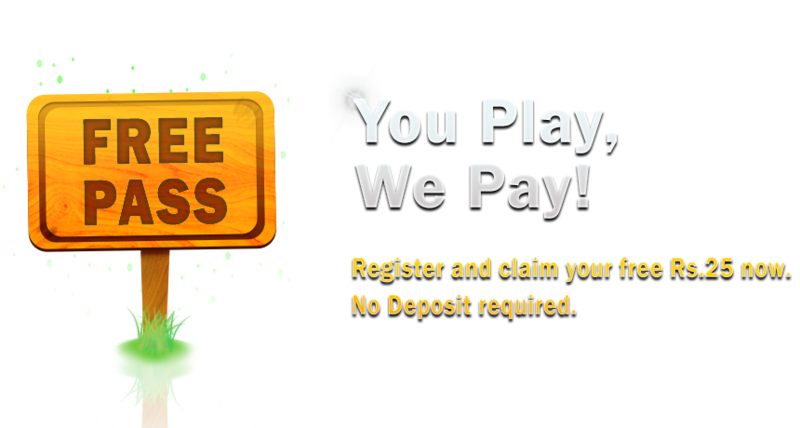 Bonus credited directly to your claimed bonus account can be taken to real money games. You cannot take bonus amount in your unclaimed bonus account to real money tables. You have to meet certain criteria after which the funds will be released to your claimed bonus account. You can then use these funds to play cash games. Please check all T&C’s before claiming the bonus. You can earn Loyalty points by entering our Cash games and Tournaments. Q: What is the minimum deposit amount to earn Loyalty points? For every Rs.25 you wager in a Cash Game or tourney you earn one Loyalty point. Q: How do I convert Loyalty points to real cash? For each 100 Loyalty points you earn, Rs.5 instant cash is deposited into your account. Q: What are the benefits of having loyalty points? Based on your loyalty points, you will become a part of our various Addas that will provide you with benefits, special services and exclusive promotions. Q: How do I become a member of the Adda Lounge? On registration, you will automatically be a Bronze adda member.Thereafter,based on your Loyalty points earned you will be upgraded to other levels. Q: How do I increase my level in the Adda Lounge? As your Loyalty points increase, your level in the Adda lounge also will increase. To know more click here .